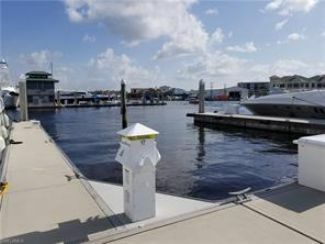 Naples Boat Club 1001 10th Ave. S.
LIVE ABOARD MARINA with 3 year old floating concrete docks! Pump out right from your slip! This slip measures 70' x 18'9". Easily accessible and marina is loaded with amenities. Members clubhouse, WiFi, cable TV, laundry, showers, ice and parking. Beautiful location on Naples Bay that is walking distance to Fifth Avenue, shops and restaurants. Sale Price: $315,000 Mostly listings charge by "Flat Rate" per month.